When the truth is veiled"
My post a couple of months ago on ubergamer attrition got me thinking. Whatever happened to Real-Time-Strategy / First-Person-Shooter hybrid games? What if instead of individual missions you could link all those mission maps into one giant persistent warzone so that factions could gain or lose terrain. You could even put the whole thing on teh internets like a championship or something. And then you could have some players deciding strategies and allocating resources while others went toe to toe in their war machines. Eh? Eh? Did I not tell you how a-may-zing this idea was? Uprising was an impulse purchase snatched off the shelf a year later at Egghead Computers before they numbered among the first of Amazon's many casualties. Though single-player and primarily a twitch-based FPS, Uprising provided a surprising amount of resource management, situational awareness and a necessity to plan ahead. Zipping around in my hovertank teleporting reinforcements to myself closed in on my ideal mech-littered virtual warscape. It was the first FPS/RTS hybrid game I'd tried, whetting my appetite for Battlezone 2 a year after that. That game was unfairly panned in its time and never achieved the lasting recognition it should have, due in part to a fanatical backlash from BZ1 players who apparently didn't like the larger-scale, more varied gameplay. For all its bugs and cheesy Starship Troopers aesthetic, BZ2 managed to integrate a full RTS economy with FPS vehicle combat and even an infantry mode for spec ops (little used but highly intriguing.) It provided the full range of units seen in any RTS from the preceding years like Command and Conquer: Red Alert or Warcraft 2, from light harasser units to heavy tanks, battlemechs, powerful but vulnerable artillery, air units including air transports for invasions, repair units, guard towers, you name it. It even had alternate modes/loadouts for various units, a feature rarely attempted at that time by even the individual genres it melded. Icing that cake, Battlezone 2 managed to convey a dramatic sense of scale, thanks largely to its aforementioned option of hopping out of your current vehicle to walk around as a tiny, vulnerable ape among all the lumbering war machinery. In order to access your top-down commander mode you would do just that: park your vehicle next to a command bunker and walk inside. 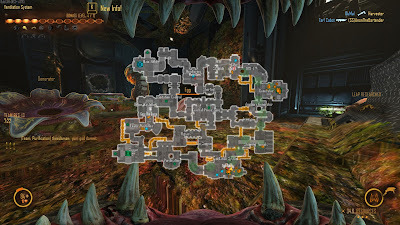 When the first workable online team RTS / FPS hybrids came out (Natural Selection and Savage) they retained this aesthetic principle of placing first-person players as lowly grunts on an RTS map. The resource nodes are what matter. You don't. Get out there and give your life(-ves) for the cause, maggot! If you think this is sounding like nostalgic pining for games of yore... in part it is. I will concede, however, that none of these examples were in themselves a desirable end-product. They were only ever a limited compromise with old technology. They were too isolated and repetitive in the case of single-player titles, too short-lived and repetitive in the case of multiplayer, and too limited in size in both cases. From 1997 onwards, more and more of these hybrid games' clientelle instead flocked to MMOs, returning only briefly every time when, invariably, the latest MMO failed to deliver an entire universe of layered, constantly progressing real-time combat and strategy. Savage 2 even awarded a "biggest MMORPG fan" title at the end of each match to the player who'd farmed the most NPCs... in a PvP game. Then, as Counterstrike and World of Warcraft brought internet gaming to the rabble, the flood of mass-market cretins drowned out, scattered and starved out the expectations of the much smaller, more discerning nerdy audience. It is, however, inevitable that fans of real-time games should look to MMOs as the next logical step up. A single interconnected world of combat at the individual or squad or army level, with territory being gained or lost by player action. Resource acquisition and management and distribution, construction, destruction on every scale. All the layered conflict from the personal to the orbital which RTS/FPS hybrid games promised, is best embodied in a persistent virtual world. To achieve that status, however, MMOs would need to stop feeding their troglodytic customers' unearned sense of self-worth. Stop centering the action on individual players. It's the map that matters. Look at the NS2 map above again and compare it to that of MMOs. Does it look more... circular? Fully interconnected? That's how an MMO's map should look. No low-level zones to be abandoned in favor of leveling sideways to the next zone. No grinding Lower Wasteflow by yourself until you get the gear to grind through Upper Wasteflow by yourself. No isolated backwaters littered with isolated players grinding isolated, motionless NPCs for no purpose but stuffing their own personal loot bags. An MMO's map should embody a central goal (whether competitive or cooperative) into which the actions of a thousand, ten, a hundred thousand players feed directly or indirectly. Such games should not consist of PvP arenas and PvE instances and crafting minigames all irrelevant to each other. It should be understood that MMOs, by nature of their "massiveness" should be hybrids, a convergence of other genres, not clusters of disparate minigames. If they fail to bring together individual decision and grand strategy (as all WoW-clones have failed) then there's nothing "massive" about them.